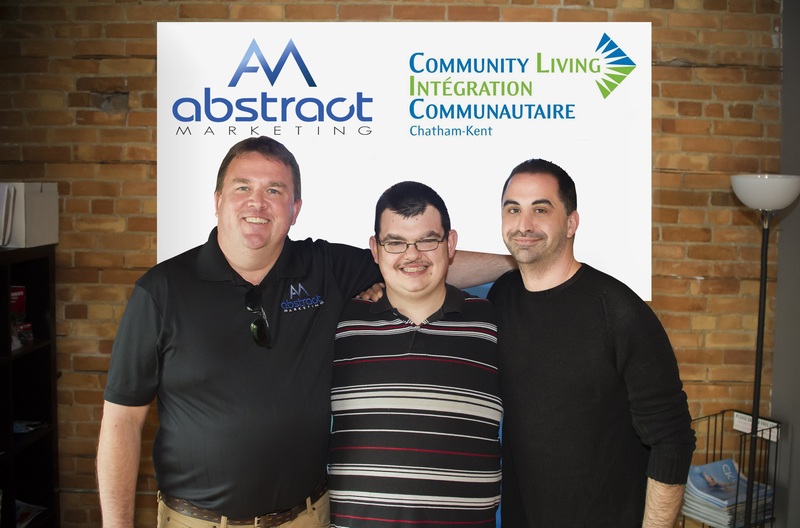 Community Living Chatham-Kent recognizes the team at Abstract Marketing as a leader Sparking Change and Inclusion in the Workplace. Community Living Chatham-Kent was thrilled to partner with Abstract Marketing to create a mobile-ready website that will allow visitors to access information quickly and easily. One of Brett’s dreams is to someday work at a business where he can utilize these skills. Brett enjoyed working alongside Mark, and the staff at Abstract Marketing. Brett assisted with creating bulleted lists and replacing content. “We are very happy to have received assistance from Brett who got to show off his IT skills while helping us to publish some of the new website content. Brett did an outstanding job and was moving at a very fast pace in no time at all!” said Mark of Abstract Marketing.